30th Annual Evening of Champions! 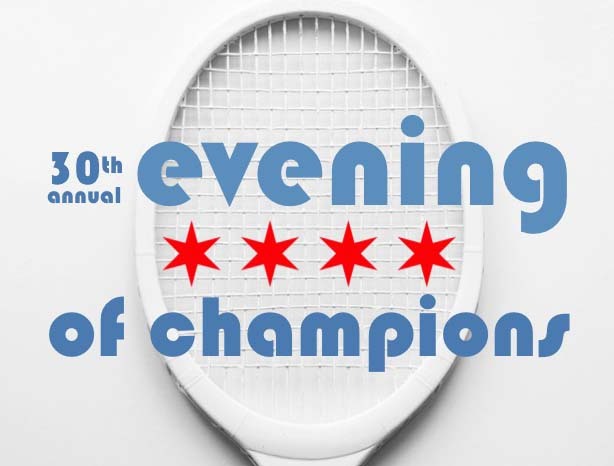 The Chicago Tennis Patrons held its 30th Annual Evening of Champions banquet, fundraiser, and Hall of Fame induction on Saturday, March 2, at the XS Tennis Village, Chicago. Through the generosity of our sponsors and guests, this was our most successful event ever. The funds we raised will be used to give youth access to junior tennis programs across the Chicagoland area. During the evening, we inducted LaMont Bryant and Julia Steele into the 2019 Chicago Tennis Hall of Fame (click here to read their bios) and we recognized 11 recipients for their 2018 tennis achievements (click here for the list of award winners). Congratulations to LaMont, Julia and all the award winners!! The Chicago Tennis Patrons thanks everyone for their support, and we look forward to celebrating with you again in 2020! !